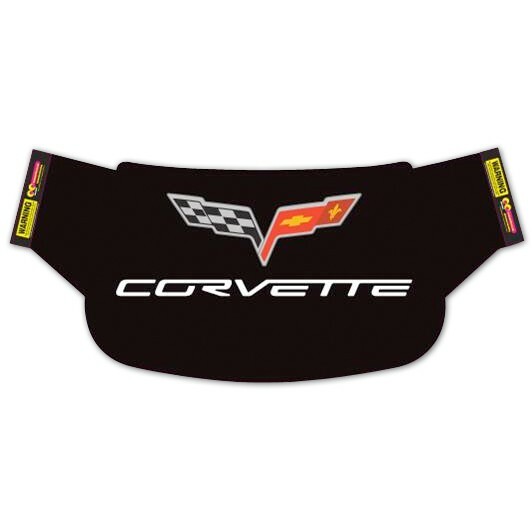 Protect the interior of your new Corvette with an eye-catching windshield wrap. Fun and functional, this weather-proof, see-thru vinyl mesh wrap will prevent noticeable fading for years. Easy on/off. Wrap mounts cleanly to vehicle windshield using simple strapping from inside the car. Strong, anti-tear vinyl with UV-resistant printed graphic is cut to fit the C6 Corvette.